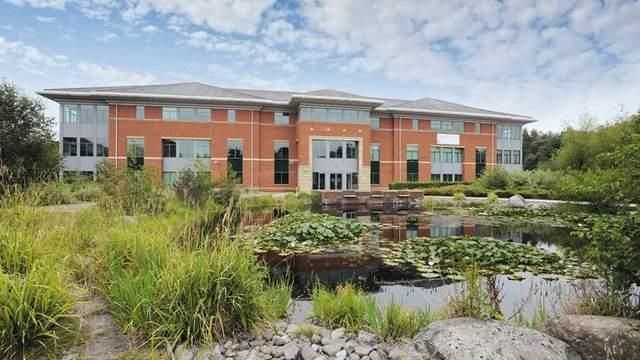 Number One Dovecote is a 61,000 sq ft ‘HQ’ office building located in attractive and mature landscaped grounds which include a large pond and associated water feature to the front of the property. The property benefits from extensive car parking with 320 dedicated spaces to the side and rear of the building. The building has recently undergone a complete and comprehensive refurbishment/re-modelling and now provides a ‘Grade a’specification including full air conditioning and raised floors throughout. Manchester City Centre or Manchester Airport. The Metrolink is accessible from 3 stations which are within walking distance of One Dovecote. Sale Town Centre can also be reached on foot in 10 minutes.